Love slow cooker recipes? This one is for you! 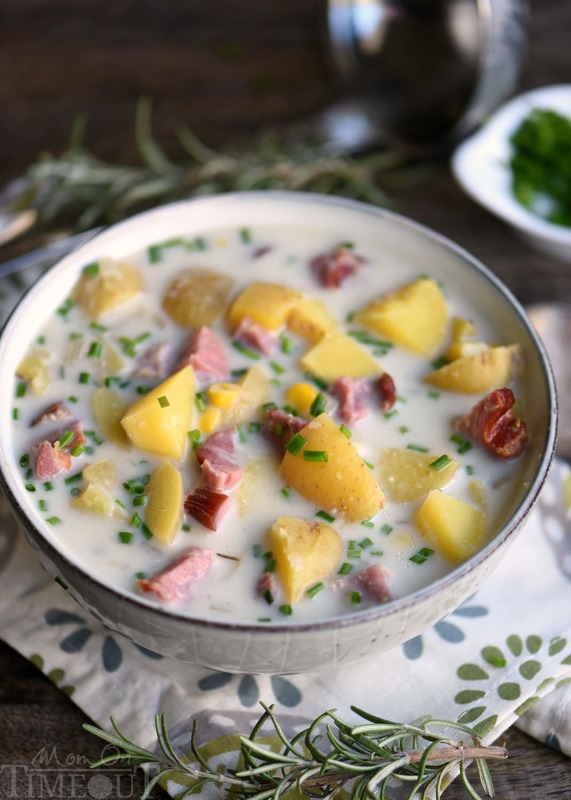 This Slow Cooker Rosemary Potato Soup with Ham and Corn is all about filling your belly with goodness and warmth! 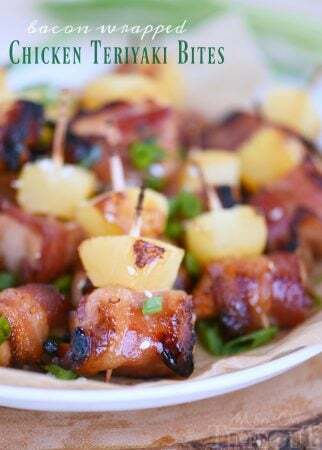 Weeknight dinners have never tasted this good! Fall is that perfect time of year when I get to combine two of my favorite things – slow cooker recipes and soup – together! There is literally nothing better than coming home to an amazing bowl of hot soup…well, nothing better than said soup and a big ole’ hunk of crusty bread smeared with butter, am I right? 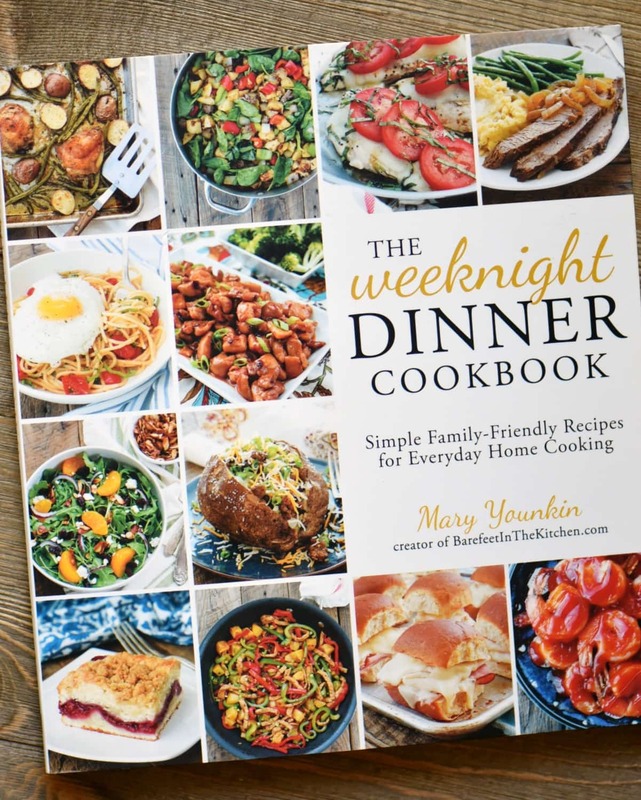 This soup is one of the best soups I’ve made in a long time and it tasted that much better because it came from my dear friend, Mary Younkin, and her new cookbook: The Weeknight Dinner Cookbook. I mean, the name says it all, right? Simple, family-friendly recipes for everyday home cooking. This describes perfectly what I’m looking for every night of the week. This new cookbook is filled with all sorts of amazing recipes that makes weeknight cooking fun again…and delicious. 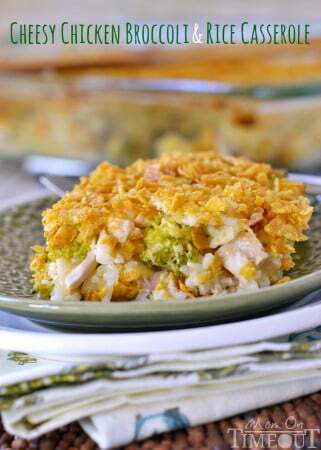 The recipes are simple, easy to prepare, and use easily accessible ingredients. My boys went through and dog-eared so many of the pages that I’m not sure where we’ll go to next but I’m thinking the Sweet Chipotle Chicken Bites or the Chicken Parmesan Meatloaf might be on the menu this week. I forgot to mention…this book isn’t just about entrees! Mary has included some fantastic recipes for sides and desserts as well so you don’t have to hurt your brain trying to come up with something new and fabulous. Mary has done all the work for you! I couldn’t resist the allure of her Slow Cooker Rosemary Potato Soup with Ham and, because I had some frozen corn on hand, added that in too. Mary asks us to use ground rosemary but I’m far too lazy to grind my own. I added the rosemary straight in to the slow cooker but next time (and there WLL be a next time…) I’m going to just wrap it in some cheesecloth so I get all the “essence” of rosemary without the little pieces in the soup. I added this to the instructions below for you. This soup is perfection on it’s own but to liven it up a bit we added some fresh chives as toppings. My boys wanted to put on some shredded cheese and that was amazing as well. Gorgeous! I simply couldn’t resist helping myself to a second bowl! I know you’re going to love this cookbook so make sure to order a few copies so you have one for yourself and a few for friends! Makes a great gift too! 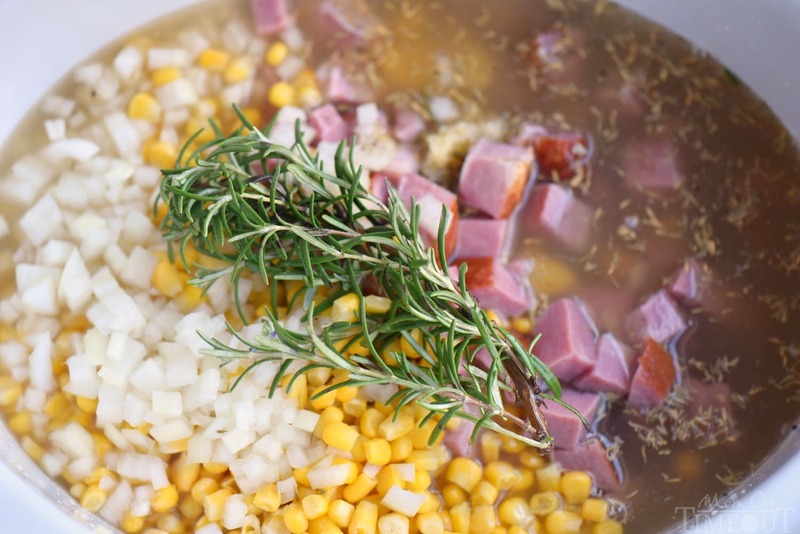 Combine the potatoes, ham, onion, garlic, corn, chicken broth, salt, thyme, rosemary, and pepper in a large slow cooker. Cook on high for 3 to 4 hours or low for 6 to 8 hours. You want the potatoes to be nice and tender. 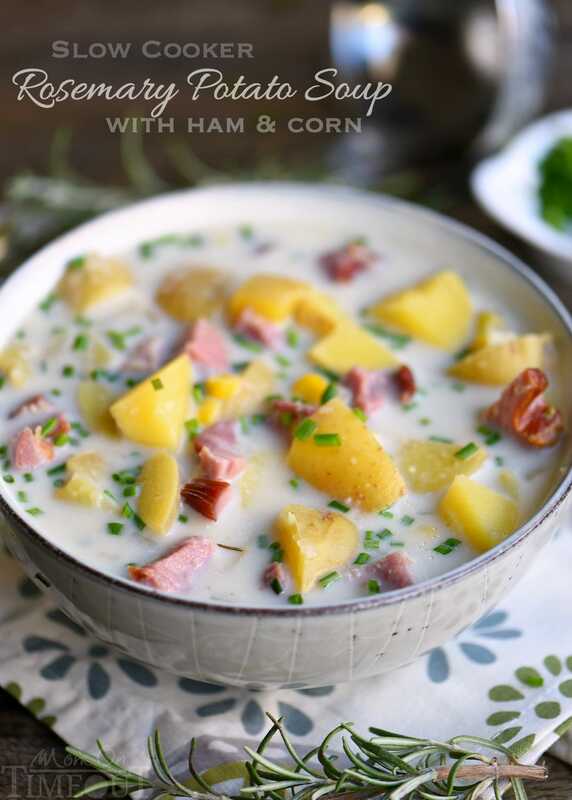 Use a potato masher to gently mash some of the potatoes in the slow cooker or, alternately, scoop out about 4 cups of the potatoes and ham, along with enough liquid to cover them, and blend until smooth and creamy. Pour the blende potatoes back into the slow cooker. Stir in the heavy cream and reduce heat to low. Serve immediately or let soup simmer for another hour or s.
Ladle the soup into bowls and garnish with toppings if desired. 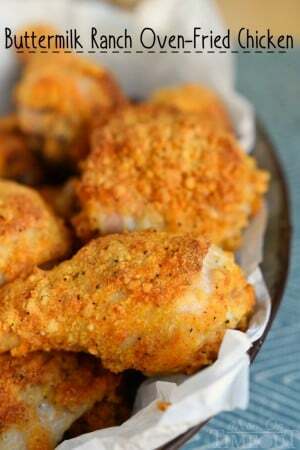 Recipe from The Weeknight Dinner Cookbook. 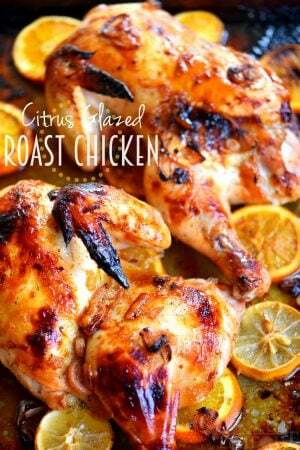 Love easy dinners? We do too!